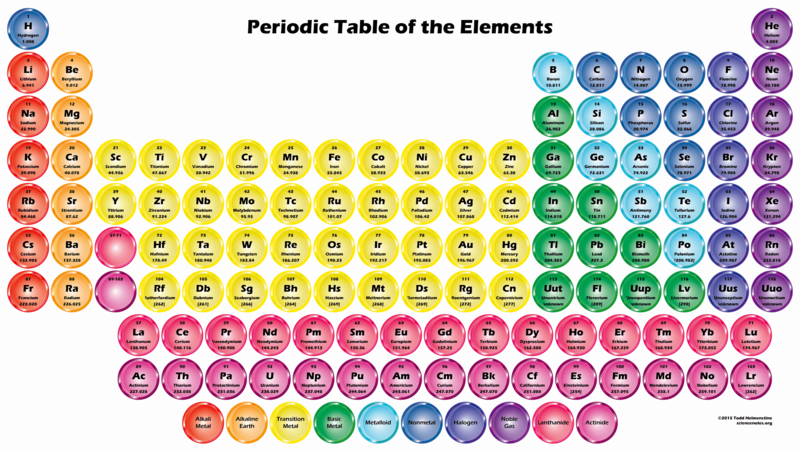 Find the perfect current periodic table from the periodic table 2015 collection. These tables are free to download and print as image or PDF files. Each of these tables uses the latest data available in 2015. 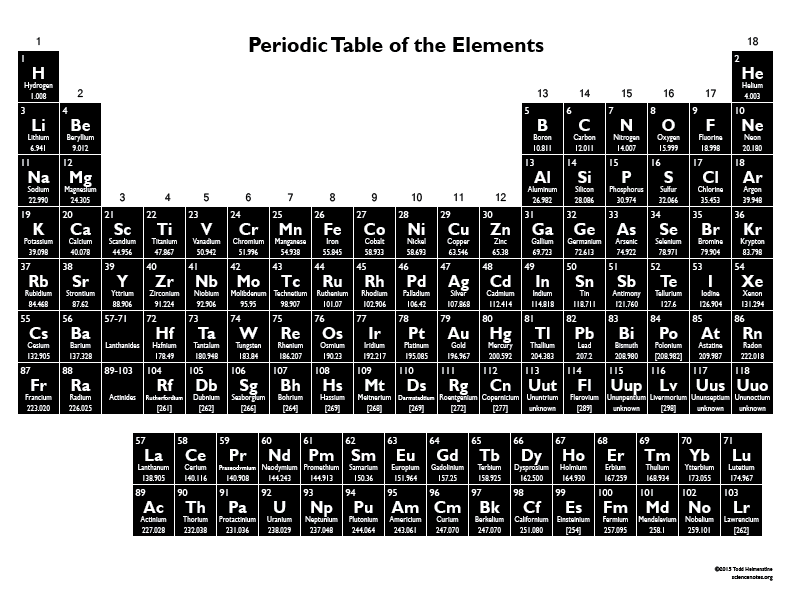 I have collated all these tables in one place so you can quickly locate the periodic tables that have the most current element facts. This printable 2015 periodic table contains all the facts and figures that can be crammed into one table. It is available with a white background, black background, or as a PDF file. The facts are fairly comprehensive. This table is easiest to read if you zoom in on a screen. 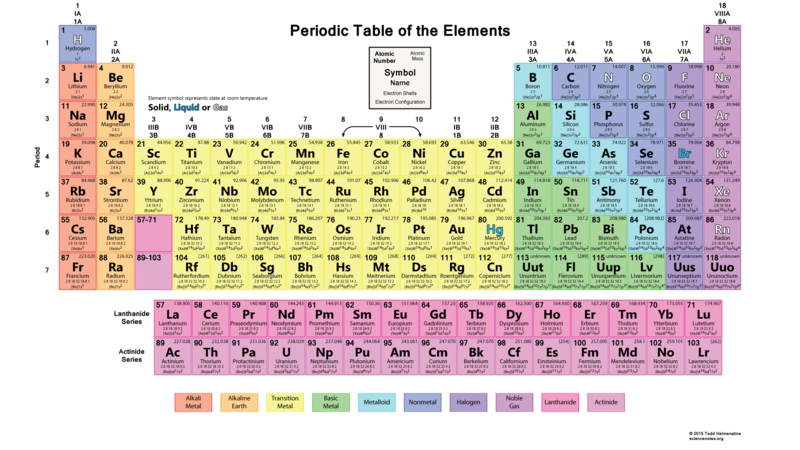 It’s a good printed reference table if you blow up the image over a couple of pages to make a periodic table poster. 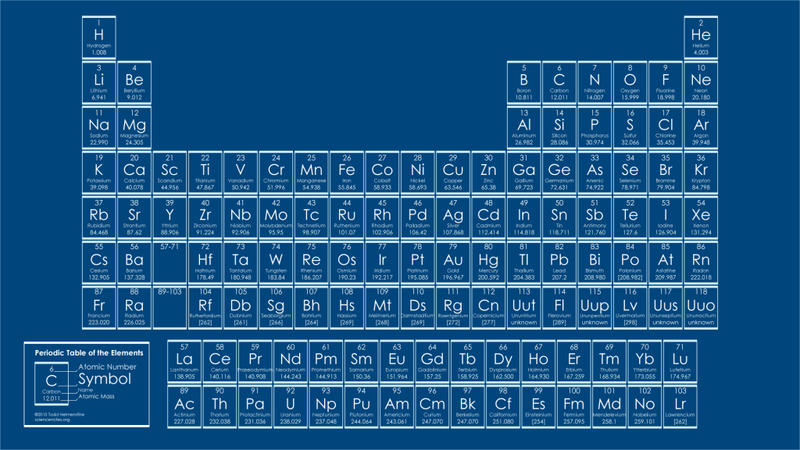 This is the most popular printable periodic table wallpaper, probably because it’s easy on the eyes. 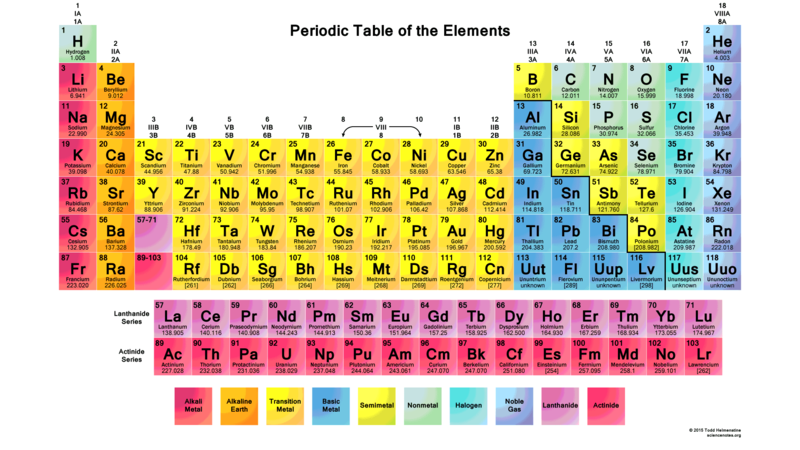 The element groups are colored, but not so bright that they are distracting. The 2015 version of this table contains updated information compared with all previous versions. It is available with the white or black background or as a PDF file. 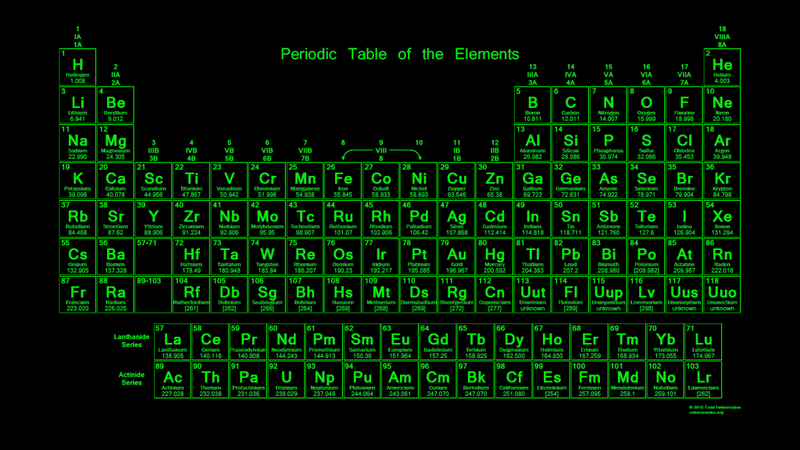 This printable periodic table is easy to read and easy on your toner cartridge. 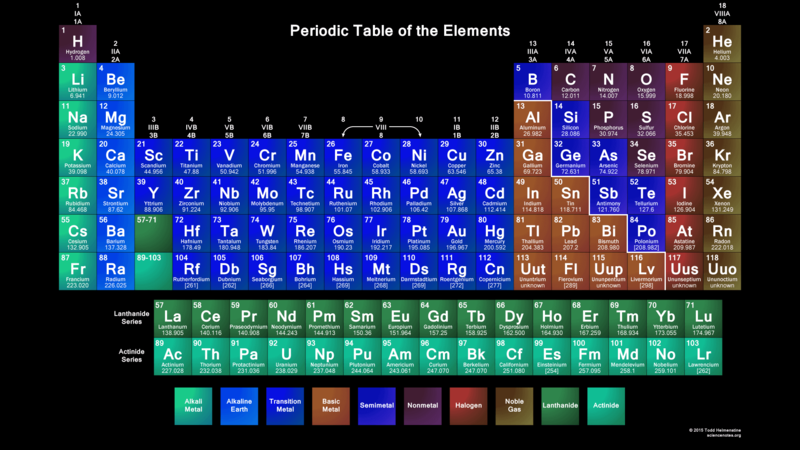 All the basic facts are present, including element symbol, name, atomic number, atomic mass, and element group. 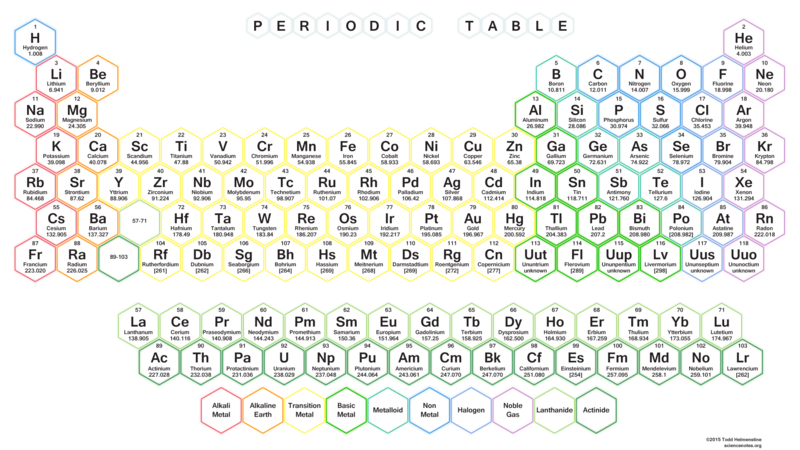 This is a reader-requested printable periodic table that features hexagon element cells that are color-coded to indicate element groups. It is available with a white or black background. 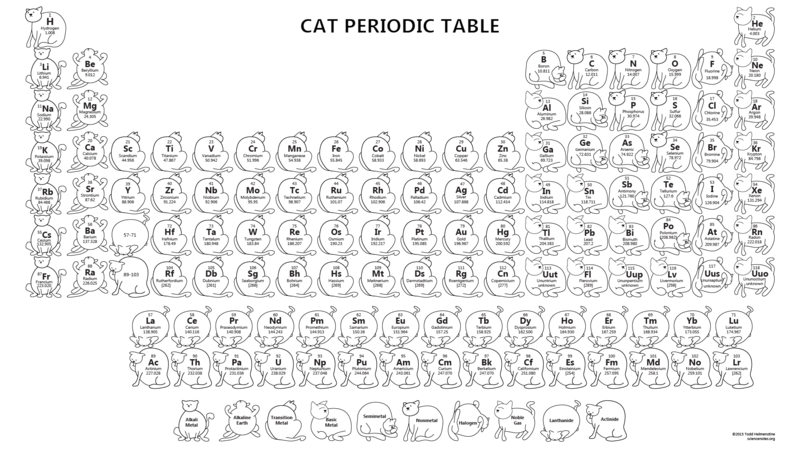 There are several variations of this periodic table, including a simple black and white cat table and cats on various colored backgrounds, including rainbow backgrounds. This is a periodic table wallpaper that looks like a blueprint. It contains the usual periodic table data. 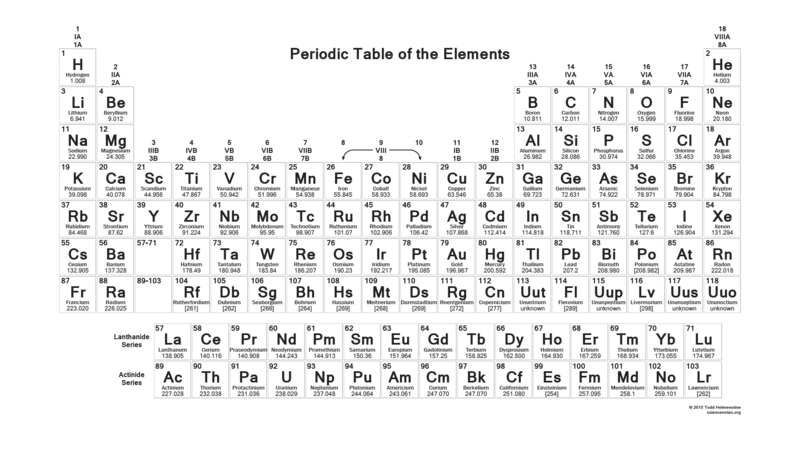 This white on black periodic table resembles a chalk board periodic table or a negative. You can print this table, but where it really looks good is as a wallpaper on a mobile device, like a tablet or cell phone. 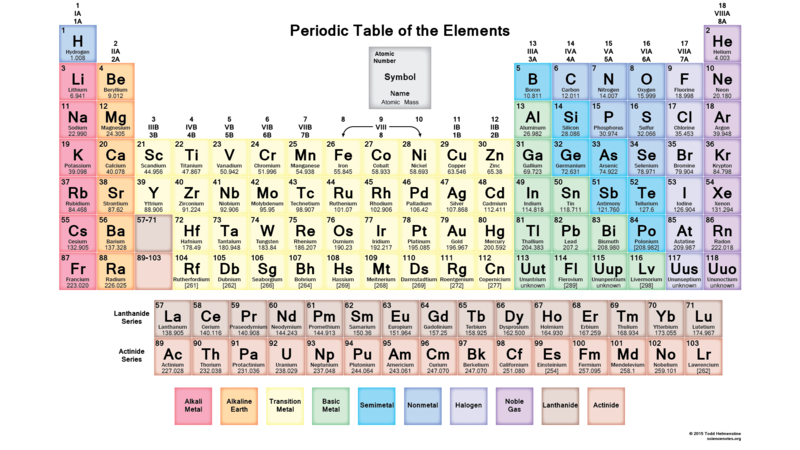 Do you need a 2015 periodic table in another language or featuring specific facts? Post a comment and let us know! Could you do the shiny circles one in Hmong? Maybe. Getting the character set might be possible, but we’d need to see an example of a table to work from.